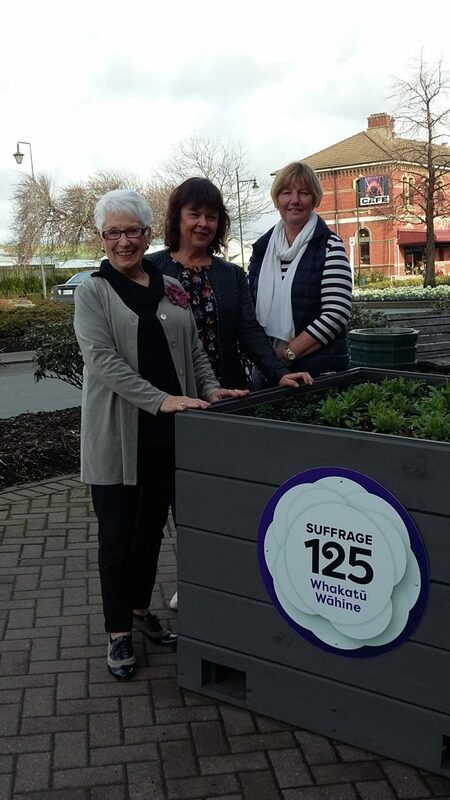 Suffrage 125 has brought together a group of women around Gore, including RWNZ, to prepare a range of events, both to celebrate the 1893 achievement of women gaining the right to vote, and to remind and educate a modern generation of what went before and how they are reaping the benefits. Celebrations to date have included re-enactments and displays, �Cuppa with a Coppa”, joining with women in police and emergency services and will continue through to December with exhibitions, talks and displays at Gore�s renowned Eastern Southland Gallery. We are proud to screen “She Shears” in Gore as part of the Suffrage Celebrations!On Sunday September 23rd it is part of a trio of women-centric movies, along with “What Really Happened: Votes for Women” and “The Divine Order” about Swiss women who didn�t get the vote till 1971! Wool will be prominent that day, in it�s many uses, including a display of award winning garments from Hokonui Fashion Awards and Wool On, created by Gore women, Viv Tamblyn and her daughter Andre Johnston. Remembering and celebrating women, past, present and future.